Ok, this is awesome. I&apos;m redesigning my Aven Fanwalker based on this. The plane is based on the American dust bowl. 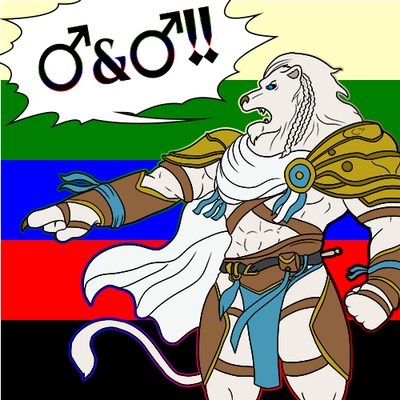 Leonin are pumas and lynx, Aven are Corvids. Which means he&apos;s a blue jay, not a cardinal. Real life jays don&apos;t have dimorphism, but this is fantasy, so these Aven can be dimorphic: the males are jays and the females are crows or magpies.